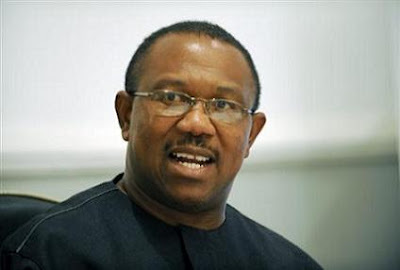 The Minister of Labour and Employment, Dr. Chris Ngige and the governorship candidate of the Progressives People's Alliance, PPA, Mr Godwin Ezeemo have tackled the former governor of Anambra State, Mr Peter Obi over what they described as his decision to impose governors on the state. While Ngige tackled Obi over alleged plan to impose the Peoples Democratic Party, PDP candidate, Oseloka Obaze, Ezeemo expressed concern that Obi despite being a good leader does not have a good discerning capacity, as it is evident in his foisting Obiano on the state. Ngige said Obi’s move to foist Obaze on Anambra would be resisted by the people of the state in the forthcoming governorship election. Ngige who spoke in Awka during a stakeholders’ meeting of the All Progressives Congress, APC in preparation for its governorship flag off campaign added that Obi left as governor of the state after eight years without positively impacting on the lives of the people of the state. Ngige was apparently reacting to Obi’s claim that he fulfilled his campaign promises to the people during his reign as governor. Ngige who is the chairman of the campaign team of the All Progressives Congress candidate, Dr Tony Nwoye in the November poll, said the 16-year rule of the PDP in the country was a waste. He said the PDP failed to redeem its electoral promises to the people, assuring that the APC was ready to deliver the country from the woods. He said, “Nwoye and the APC have a comprehensive blueprint for the development of the state and the country at large. Nwoye has promised to provide functional and quality social amenities and infrastructure aimed at improving the lives of the people within the first two years of his administration”, Ngige said. Meanwhile, Ezeemo while speaking at the 15th Annual Convention of Anambra State Association in Houston, Texas at the weekend acknowledged that Obi was a good leader, but said his first choice of a successor in Obiano was faulty, and that his second choice in Obaze cannot be trusted. Ezeemo who was represented by Dr Edward Ezenwafor during the convention said Obi showed some level of competence in administration but was very poor in his judgment in selecting his successor. "This is no surprise because he (Obi) was chosen by Anambrarians during his time, and not by a particular individual. Why wouldn’t he trust Anambrarians to make a good choice once again?,” he said. He said that his proven passion, commitment and competence for the development of Anambra State and the people is what differentiates him from his opponents, and forms the reason for leaving the UK and transferring his wealth and investments to Anambra State with over 1,000 under his payroll. In his words, “My opponents live in other parts of Nigeria and have nothing to lose if Anambra goes wrong. I have not waited for functional systems to appear from the moon in Anambra State but have invested in creating the functional systems we desire, without any interest in a dime of public fund either from holding a public office or through government contracts.